Casey Stengel, an eccentric man himself, called Moe Berg "the strangest man ever to play baseball." Dark, handsome, erudite, fluent in many languages, charming and shadowy-just who was this man who was a professional baseball player and a so-called master spy? Who is the real Moe Berg? He epitomizes frustration for any biographer. Moe Berg was destined to be not a slayer of dragons but a maverick who went beyond the borders of ordinary life. Berg had a nervous vitality about his person. His movements were animal-like. He appeared to be a person out of sync and out of sympathy with his environment. Moe Berg was in a world by himself, passionately interested in knowledge for its own sake. He was also quick to share this knowledge to anyone who cared to listen to him. In essence he was a free spirit. John Kieran, a former sports columnist for the New York Times, called Moe "The most scholarly athlete I ever knew." What was the real mystery of Moe Berg? Was he really a spy? Was he a complex human being? No revelations can touch his innermost secrets. A complex yet simple man, he was said to have asked minutes before he died, "How did the Mets do today?" Morris Berg, allegedly master of 12 languages, was born in a cold-water tenement on East 121st Street in Manhattan on March 2, 1902, to Russian-Jewish immigrant parents, Bernard Berg, a druggist, and Rose Tashker. Bernard Berg arrived in New York from the Ukraine in 1894 and found work ironing in a laundry. Rose arrived two years later when Samuel had saved enough money. Bernard had also set aside enough money to open his own laundry on the Lower East Side. He had higher ambitions, though, and attended night school at the Columbia College of Pharmacy. By the time Moe was born, joining older siblings Samuel and Ethel, Bernard was a pharmacist. At nine months of age Moe moved with his family to the Roseville section of Newark, New Jersey, where Bernard Berg opened his own pharmacy. It was for the Roseville Methodist Episcopal Church that Moe played his first organized ball. As he was Jewish, he invented a new name for himself, Runt Wolfe. His father worked for thirty years so that his children would have a college education. Samuel became a medical doctor, Ethel a schoolteacher. The family felt that Moe should become a lawyer. And so he did. Moe attended Barringer High School and was an all-city third baseman with a rifle arm. Berg graduated from Barringer at the tender age of sixteen and a year later went to New York University. One year later he transferred to Princeton University. Most of the students attending Princeton were Protestants from wealthy families. Moe, Jewish and not affluent, hovered around the periphery of that closed society. He was a loner and perhaps this contributed to his mysterious ways many years later. At Princeton Berg studied classical and Romance languages: Greek, Latin, French, Spanish, and Italian. He also studied German and even Sanskrit. Because he was Jewish, Moe ran into some awkward moments at Princeton. One such incident came about when one of his teammates was nominated for membership in one of the prestigious dining clubs so essential to social life at Princeton. 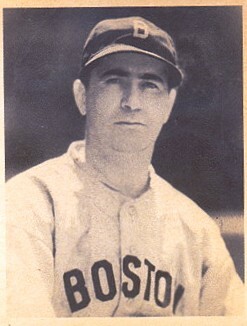 The teammate accepted on the condition that Moe Berg would also become a member. The club acceded to those wishes on the condition that Berg not attempt to bring any more Jews into the club. Moe Berg said no thanks to this requirement. His teammate also declined to join. Moe, feeling responsible for his teammate's refusal to join, talked him into becoming a member. Left with a bitter taste in his mouth about Princeton, Berg never returned for any class reunions. Baseball gained Berg something like acceptance, as he started for the Princeton nine for three years. During his last year he was captain and a star shortstop. That team was the best Princeton ever had, winning 18 straight games and handing Holy Cross star pitcher Ownie Carroll one of his two losses as a college pitcher. Moe graduated with honors in 1923, 24th in a class of 211. After graduation, Moe Berg signed with Brooklyn of the National League. He also entered Columbia Law School, eventually receiving his law degree in 1930. At this point in life he encountered Dutch Carter, an eminent lawyer who advised him to keep playing professional baseball. Carter had wanted a baseball career himself, but his family had persuaded him to follow the law, and he still regretted it. He told Berg that he would have plenty of time to practice law after his baseball career was over. Berg followed his advice, also turning down a position at Princeton to teach Romance languages. Moe Berg started his baseball career in 1923 with Brooklyn of the National League as a shortstop and batted a puny .186. In 1924 he was with Minneapolis and Toledo in the American Association playing third base and shortstop with a combined average of .264. In 1925 he was with Reading of the International League as a shortstop, batting .311. Finally making it back to the majors in 1926, he played in 41 games for the White Sox, batting .221. It was in 1927 with the White Sox that he inadvertently became a catcher. Ray Schalk, manager of the Sox and a reserve catcher, was out with a broken thumb. Buck Crouse was also injured. Then in a game in Boston Harry McCurdy had his hand slashed accidentally by a Boston batter. Schalk was in a panic. Looking up and down the bench, he said, "Can any of you fellows catch?" Moe said he used to think he could. Schalk asked who said Moe couldn't. Moe's answer: "My high school coach." Schalk assured Berg that he'd be obliged if Moe could prove his high school coach wrong. Moe strapped on the so-called tools of ignorance and proved that indeed he could catch. Schalk was so delighted with Berg after the game he hugged and kissed him. There was no turning back. The brightest man in baseball was now wedded to the tools of ignorance. Berg was an excellent defensive catcher. Possessing a strong arm, he could gun down the swiftest baserunners. His hitting left something to be desired. Berg batted only .243 with six home runs lifetime. But his baseball acumen in calling games and his knowledge of the hitters put him in great demand around the league. Moe went on to play for Cleveland, Washington and Boston in the American League until his retirement after the 1939 season. In all he spent fifteen seasons in the majors mainly because of his defensive skills and his knowledge of baseball. When Ted Williams was in his second year with Red Sox, he sought out Moe Berg for advice. Williams wanted to know about what made great hitters like Lou Gehrig and Babe Ruth. Berg replied, "Gehrig would wait and wait and wait until he hit the pitch almost out of the catcher's glove. As to Ruth he had no weaknesses, he had a good eye and laid off pitches out of the strike zone. Ted," Moe said, "you most resemble a hitter like Shoeless Joe Jackson. But you are better than all of them. When it comes to wrists you have the best." Whether at this early stage of Williams' career Moe was being honest or just trying to pump up Ted's confidence is debatable; what Williams went on to do is not. In 1934 Berg's career took the turn that made him the stuff of legend. Now a member of the team of Americans that took baseball to Japan, he presumably walked the streets of Tokyo dressed in a long black kimono. He entered St. Luke's Hospital carrying a bouquet of flowers intended for Ambassador Joseph Grew's daughter (Mrs. Cecil Burton), who had recently given birth to a daughter. He introduced himself as a friend of Mrs. Burton but instead of going to her room went up to the roof and using a motion picture camera shot the skyline and other important parts of Tokyo. He never visited Mrs. Burton. In 1942, General Jimmy Doolittle's pilots viewed Berg's photos before their famous raid on Tokyo in April 1942. However, the pictures were too old to be useful to the pilots. In August 1943, Moe Berg was recruited into the Office of Strategic Services (OSS), later to become the CIA, by General William (Wild Bill) Donovan, former commander of the Fighting Sixty-Ninth Regiment in World War I. Berg had just finished his tour of South American countries to secure cooperation between them and the United States in the war against the Axis. One of Berg's first assignments was to parachute into Yugoslavia to inquire into the relative strengths of the Chetniks loyal to King Peter who were led by Draza Mihajlovic and the Communist partisans led by Josip Broz (Tito) in their fight against the Germans. Talking to both men and analyzing their relative strengths, Berg felt that the partisans under Tito were superior and had the backing of the Yugoslav people. Thus the greater aid went to Tito. On another mission Berg posed as a German businessman in Switzerland. His job order from the OSS was to carry a shoulder-holstered pistol and assassinate Werner Heisenberg, the top scientist suspected of working on an atomic bomb (if indeed the Germans were moving ahead on the A-Bomb). Heisenberg divulged nothing. Berg, who was to shoot him on the spot and then take cyanide to avoid capture, concluded that the Germans were nowhere close to an atomic bomb. Heisenberg and Berg were to live another day. Generally serious, Berg had a lighter side. With the Washington Senators his roomie was a fellow named Dave Harris, a slow-moving Southerner who once was deputized as a sheriff to track down some men who had stolen a mule. One day Harris was feeling a bit sickly and told his roomate Moe that he was "doin' poorly." Moe said, "Stick out your tongue." Harris complied and Moe told him, "Dave, you are suffering from a bit of intestinal fortitude." The next day Harris informed reporters that he had shaken off that little bit of intestinal fortitude. But Harris had the last laugh: "Moe, I can drive in more runs in a month than you smart guys can think across the plate all season." One day in Philadelphia the temperature reached about one hundred degrees. Moe dutifully put on the equipment and stoically went out to catch, the perspiration coming out his body profusely. Berg was catching Earl Whitehill, a fast but wild lefty, that day. In the seventh inning Doc Cramer came to bat and got into a battle with Whitehill over who was going to outstare the other. Meanwhile, Berg was crouching down every time he gave a signal and getting up while the two were staring at each other. This went on for quite some time with Moe going up and down like a yo-yo. In disgust Berg peeled off his chest protector, shin guards, and mask and laid them neatly on home plate. He then turned to Bill McGowan, the home-plate umpire, and said, "I'll return when those two guys decide to play baseball. Right now I'm going to take a shower." One of Berg's many eccentricities involved the newspaper. He would not let anyone touch his newspapers until he had read them. If anyone did touch them, Berg considered them dead and would go out and buy the papers again. Even in a snowstorm Berg would go out to buy papers if someone had touched them before he did. Moe was a proud man. When he was asked to write his biography, he angrily refused when his co-author mistakenly thought he was Moe of the Three Stooges. Berg also supposedly refused the Medal of Merit when he was told he could not explain to friends why he earned it. His sister accepted it after his death. Notwithstanding living in a cold-water flat, the entire Berg family was intelligent and sought learning. The genes must have been there in Moe for intelligence and learning. So what made Moe seek a life of baseball and spying? Why did he never marry? Why did he have the knack of suddenly appearing and then disappearing at a moment's notice? We know that when he attended Princeton he was on the fringe of that society of wealthy Protestant students and was never fully accepted into their world. Did his experience at Princeton have anything to do with his being on the fringe of society in his everyday life? If his experience at Princeton had been one of acceptance, would it have changed his makeup and the extent of his participation in the broader society? Loners are often thought of as dangerous people. But Moe was charming and interesting. He was a loner yet sought after as company. How do we explain this paradox? By now we have mostly only questions and only mere suppositions about Berg. Marriage seems to have been out of the question. The closest Berg came to marriage was his involvement with Estella Huni, whose father owned the New Haven School of Music. Tall, beautiful, and sophisticated, she was an intellectual match for Moe. They had much in common-opera, art, books and witty conversation. Early in 1944 Moe was sent to Europe, and his correspondence with Estella was sparse. She braved it out for a while, but then his letters stopped altogether, and she gave up the dream of marrying him. She eventually married a naval officer. Berg's uncanny knack for appearing and suddenly vanishing came from his days at Princeton and from his personality that demanded utter secrecy where his inner life was concerned. He wanted to be mysterious, to make himself the intriguing figure his psyche demanded. Moe Berg's whole family, especially his brother Sam and his sister Ethel, was somewhat enigmatic. Dr. Sam, as he liked to be called, never married and could be cruel. Ethel aspired to be an actress but settled upon being a schoolteacher and also never married. Ethel became an excellent kindergarten teacher and was given the responsibility of instructing other kindergarten teachers. She was noted for roller-skating down the corridors of the school. Dr. Sam and Ethel detested each other and did not speak for 30 years. His father Bernard chose not to live in a Jewish section of Newark. He preferred to live among a more Gentile population. Accordingly, Moe lived on the fringe of society at a young age and continued doing so at Princeton. The Bergs also felt they were superior to their other relatives and looked down upon them. At family gatherings they would stand apart from other members, living on the fringe of their own extended family. Did this come into play for Moe? It would seem so. Bernard Berg didn't approve of Moe's baseball career. Despite Moe's pleadings he never attended a baseball game, let alone one in which Moe was playing. He was vehemently opposed to sports because he felt they were distractions in one's life. Moe's father tried but failed to discourage his son's athletic leanings. Asked if he felt he had wasted his life, Moe always replied, "I'd rather be a ballplayer than a Supreme Court justice." Rose, on the other hand, exulted in the fame it brought her son. When Moe was playing baseball at Princeton, he and his father exchanged acrimonious letters over his athletic activities. Meanwhile, Dr. Sam always felt that he was the neglected one in the family and was jealous of the attention that came Moe's way. Ethel, caught in the middle of all this, was probably the one most neglected. Moe would appear from nowhere and just as suddenly disappear. It was his nature. He wanted to be free of obligations such as deep relationships with other people. Granted, he was charming and witty, but he always shrouded himself. He was the perfect man to be a spy because he revealed little about himself. His innermost feelings were as thoroughly classified as his spy activities. Some people considered him a leech who invited himself to affairs that others paid for. Some sought him out passionately for his wide-ranging knowledge and ability to relate facts and figures to all that cared to listen. But did he ever reveal himself? Did he ever divulge his innermost feelings and thoughts to someone? He was like the spy who came in from the cold. Staying on the fringe of society, free to roam wherever he wanted, from time to time he still needed the warmth of human society to bolster him. His brother Samuel, with whom he lived for a while, said that after the war Moe became a bit moody and snappish. Moe seemed a lost soul. He appeared directionless, living only for his books. He would show up at Mets games, usually sitting alone in the right field stands, wearing his customary black suit and carrying a Neville Chamberlain black umbrella. After almost 17 years of having Moe live with him and with papers and books piling up to the point that it was driving him insane, Sam finally asked Moe to leave. Moe did not budge. Dr. Sam had lawyers draw up eviction papers to get Moe out of the house. Moe wound up living out his life in Ethel's home in Belleville, New Jersey. Things were not always good there, either. One time when a relative came to visit Moe, he offered to take her to see writer Anita Loos. Ethel upon hearing this rushed out of the house and began tearing up weeds out of the garden. She said, "That son of a gun never asks me to go with him to meet Anita Loos and now he asks you." Whenever anyone would ask any question that Moe felt uneasy about, he would put a finger to his lips and utter "Shhh." Was this shushing a shield against not only his spy activities but also his innermost feelings? Or was it part of a vivid fantasy life? Adding to all this was a business loss that Moe suffered from a company in which he had invested $4,000. The company, which manufactured stationery, had done well, and Moe was reported to have made profits of about $250,000. However, the profits were plowed back into the business when it expanded. Unfortunately, the expansion did not work out. The company went bankrupt, and Moe never realized his profits. Moe, it seemed, never complained to anyone over this financial loss; he seemed to worry more about all the people that lost their jobs when the firm went under. There were debts to be paid, and Moe with the help of friends paid them. His reaction was to plunge more deeply into his world of books and study. Moe Berg was not of his time. Perhaps he saw himself as a throwback to more chivalrous centuries, where loyalty, honesty and courtesy were valued. Maybe he was the knight-errant who bravely fought on when he knew he was doomed or the lone cowboy who would ride into town, root out the bad guys, and ride off into the sunset. The townsfolk would be grateful but would never make him sheriff. In any case, he lived out his life without having a solid relationship with anyone. Little about Moe Berg adds up. How did he last so long in the majors, continuously from 1926 to 1939, when he was no better than a mediocre player? He may have been a fine catcher, but he was a weak hitter in an era of heavy hitters, when weak hitters didn't last long. His more or less exact contemporaries in the American League alone include Gehrig, Gehringer, Grove, Lyons, Cochrane, Dickey, and other players of similar caliber. Was he kept on major league rosters at the behest of the government for his undercover abilities? Maybe, but the Tokyo episode, in which he supposedly passed himself off as Japanese, has the implausibility of a bad spy novel or movie. Perhaps he did everything claimed for him, but perhaps he had an overly romanticized fantasy life and was a master con; the finger pressed to the lips is a masterful touch. He was intelligent, to be sure, but it's also possible he was just plain unbalanced or wanted to make himself appear more important than he was. Moe Berg died on May 29, 1972, in Belleville, New Jersey, after a fall at his sister's home. His brother and sister survived him. Dawidoff, Nicholas. The Catcher Was a Spy: The Mysterious Life of Moe Berg. New York: Pantheon Books, 1994. Horvitz, Peter S., and Joachim Horvitz. The Big Book of Jewish Baseball: An Encyclopedia and Anecdotal History. New York: S.P.I Books, 2001. Kaufman, Louis, Barbara Fitzgerald, and Tom Sewell. Moe Berg: Athlete, Scholar, Spy. Boston: Little, Brown, 1974. Morris Berg files at the National Baseball Hall of Fame and Museum in Cooperstown, New York. New York Times. Obituary. June 1, 1972. Seidel, Michael. Ted Williams: A Baseball Life. Chicago: Contemporary Books, 1991. Shatzkin, Mike ed. The Ballplayers. New York: William Morrow and Company, 1990.